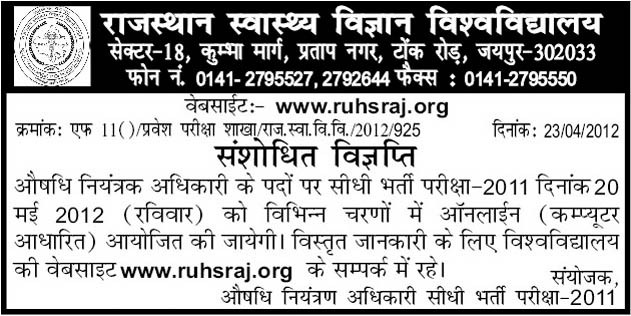 The recruitment examination has been scheduled to be held on 20-05-2012. Relevant details will be available in due course. Pharma-XL is starting NEW BATCH from 27/04/2012.